At the time of the Great Flood, Noah sailed away on his ark, unaware that he had left behind a group of animals. Little did he know at night they had been sneaking into Noah’s boatyard for oddments of timber. By the time the first drops of rain fell, they too had their own ark, and as the waters rose the crazy little craft sailed forth. 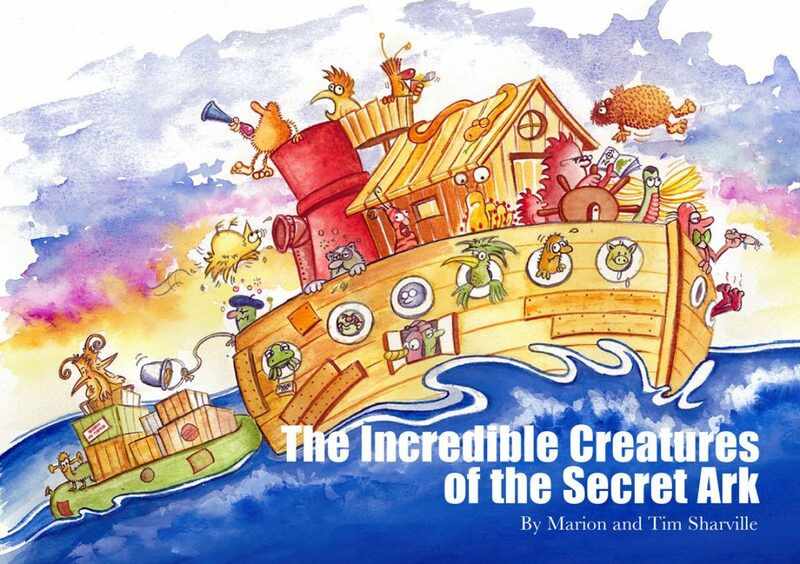 The Incredible Creatures of the Secret Ark is an A to Z of odd and eccentric creatures that never made it onto Noah’s Ark, brought to life through the comic verse and illustrations of Marion & Tim Sharville. © All rights reserved. A book for anyone who feels they don’t fit in!